Welcome, one and all, to another edition of Field of view, your Friday fix for all things VR and AR that went down this week. Before we get into the news, let's clear up what's already happened this week. On the site, we explored the very latest with Magic Leap, got excited about the prospect of hearing about the next HoloLens this year and picked out our favourite VR football games to help complement the World Cup. You can read those later, though. First we're going to catch you up on the best of the rest of the news, plus give you our recommendations for a VR game you need in your life and video you need to watch. Like, now. New VR games, you say? E3 has been kicking off this week, and while there wasn't a PS VR 2 or an Xbox VR headset, we did get to find out about some new games we'll get to play on existing VR headsets. We're going to start with PlayStation VR and the news that Vive/Rift fave Beat Saber is coming to Sony's VR headset. That was also joined by announcement trailers for Tetris Effect, Deracine (from the creator of Bloodborne), the music-making Track Lab, the frankly bizarre looking Salary Man Escape and Creed: Rise to Glory. 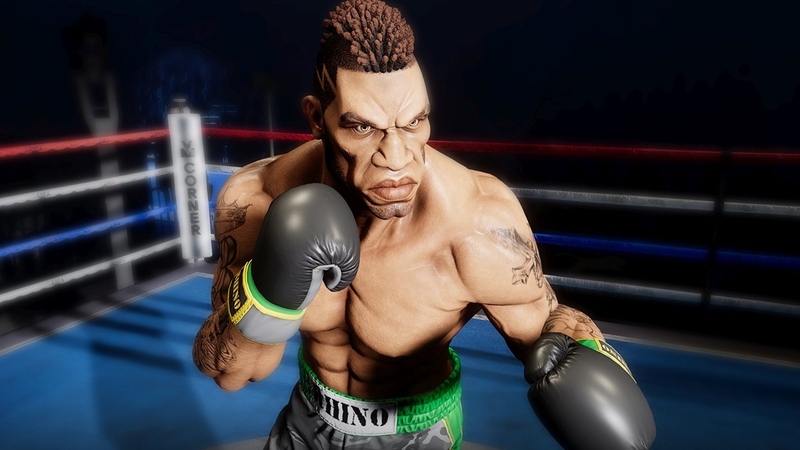 Yes, there's a VR boxing game based on the last Rocky film on the way. Check the PSVR E3 2018 highlights in the video above. For Rift and Vive owners, there was plenty to look forward to for the PC-powered headsets too. The pick of the bunch was Insomniac Games' Stormland (trailer above) that promises open-world gameplay and some slick looking sci fi visuals. From Bethesda, we got Wolfenstein Cyberpilot, which should also get PSVR support. It's also adding a VR mode for the brilliant Prey and the Elder Scrolls: Blade looks set to bring cross platform multiplayer to the RPG realms. Oculus recently launched its new Venues platform for live streaming events in VR and it has also announced that you'll be able to view four games from the 2018 World Cup in Russia on the Oculus Go or Samsung Gear VR. Things will kick off with Germany vs. Mexico on 17 June through Fox Sports in the US. The broadcaster will also be showing the Portugal vs. Morocco, Brazil vs. Costa Rica and England vs. Panama group stage games. There also be VR-related World Cup coverage for other regions outside of the US, including the UK, France, Greece and Argentina. Chris Milk's Within platform has collaborated with Mozilla to launch a version of its website powered by the browser maker's WebVR platform that makes it easier to access VR videos and other content without the need for an app store. Even if you don't own a headset you can enjoy videos and the site will also automatically detect VR headsets to display videos in their true immersive form. It's a big deal and hopefully this is only the start. After multiple delays, Indie studio Neat Corporation has finally brought the robot killing title to the Vive and the Rift after first demoing it back in 2016. If you like the idea of sneaking around and throwing sharp objects and robots, then it's definitely going to be your cup of tea. It's available to download now from Steam and the Oculus Store and will set you back $20 to own it. We're going to take things back to E3 2018, because there was a lot to talk about and we think this trailer warrants your attention. Ubisoft's psychological first-person thriller that has been developed in collaboration by actor Elijah Wood's film production company SpectreVision. It's going to launch later this year and will be available for PSVR, Oculus Rift, and HTC Vive owners. It's a game about memories and this is definitely one game we are intrigued to see a lot more of.